Fredrick L. Hartung, age 76, of Sullivan, Missouri, passed away on Thursday, March 21, 2019 at Mercy Hospital in Washington, MO. Fredrick Hartung, known as Fred, was born on July 31, 1942 in Bourbon, Missouri, the son of Willard Harland and Oma Virginia (Richardson) Hartung. He grew up and attended school in Bourbon. Fred worked with his Father at Bourbon Redi-Mix. He was united in marriage to Ruth Schweer on July 13, 1963 in Gerald, Missouri, and they were blessed with 2 children, Carol and Brian. They lived their lives and raised their family in Bourbon. Fred was employed by the State Highway Department and retired after 29 years of service. After his retirement, Fred operated his own dump truck, and then later spent 4 years as the Crawford County Commissioner. Together, Fred and Ruth were able to travel in their RV for several years. Fred also enjoyed music, especially singing, playing the guitar and having jam sessions. He also enjoyed hanging out at Uncle Ernie’s Restaurant in Bourbon. Fred will be lovingly remembered and missed by his family and friends. Fred is survived by his wife of 57 years, Ruth A. (Schweer) Hartung of Sullivan, MO; two children, Brian Hartung of Sullivan, MO, and Carol Henry of Sullivan, MO; 2 brothers, Ernie Hartung of Bourbon, MO, and Paul Hartung and wife, Judy, of Warrenton, MO; 3 grandchildren, Courtney Henry of Sullivan, MO, Brittaney Gargus and husband, Clayton, of Bourbon, MO, and Ethan Henry of Sullivan, MO; 2 great grandchildren, Lillian Callahan and Madilyn Gargus; numerous nieces & nephews, other relatives and friends. He was preceded in death by his parents, Willard “Jess” and Oma Hartung; two brothers, Willard Hartung and Martin Hartung; and one sister, Joan Summers. Funeral Services will be conducted 1:00 PM, Monday, March 25, 2019 at Eaton Funeral Home Southside Chapel (301 Sappington Bridge Rd., Sullivan, MO), with Pastor Matt Dudley officiating. Interment will follow in Bourbon Cemetery, Bourbon, MO. Visitation will be held from 10:00 AM to 1:00 PM, Monday, at Eaton Funeral Home Southside Chapel. Memorial contributions may be made to the Bourbon Thrift Store & Food Pantry. 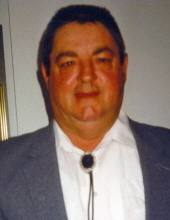 Friends may send online condolences to the family of Mr. Hartung at www.eatonfuneralhome.com. To send flowers or a remembrance gift to the family of Fred L. Hartung, please visit our Tribute Store. "Email Address" would like to share the life celebration of Fred L. Hartung. Click on the "link" to go to share a favorite memory or leave a condolence message for the family.